We're back with our mid-month challenge, and we're excited because it's definitely got possibilities for "out of the box" thinking! We can't wait to see what you'll do with this one! Our challenges stay open all month long. And did you know that you are welcome to submit as many layouts as you'd like for the challenges? We also don't mind if you combine our challenge with other challenges or with your design team work. 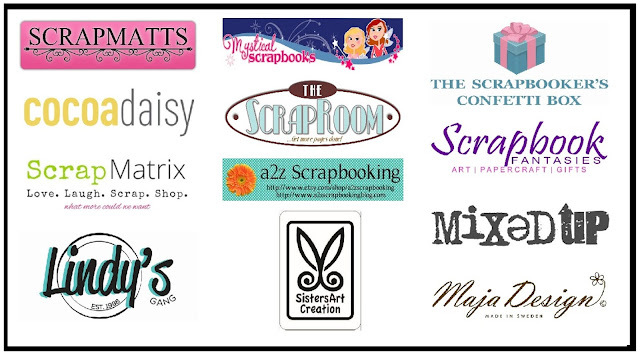 We are here to inspire you to scrap and tell your stories! So, are you ready for the new challenge? 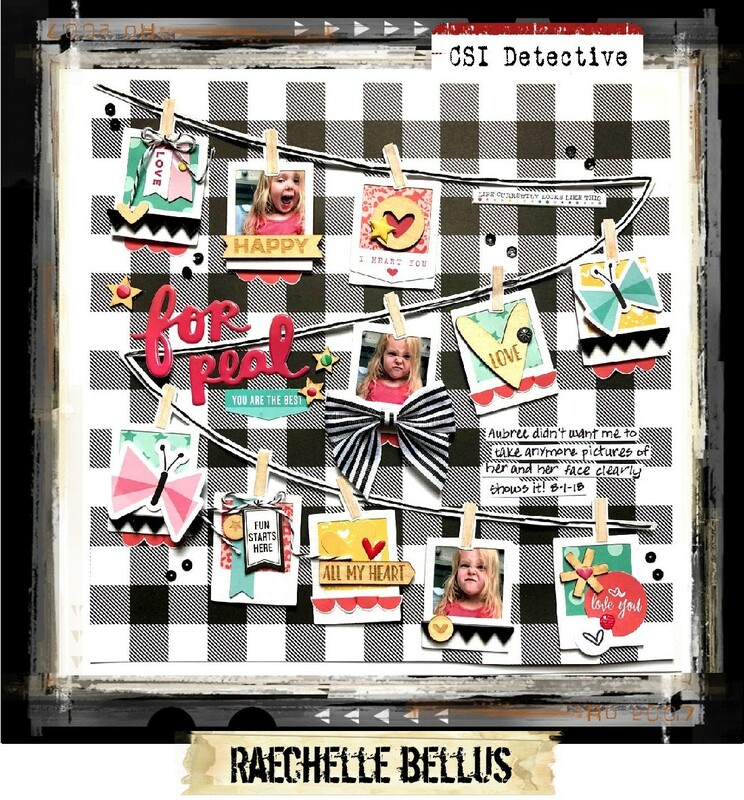 Grab you forensics kits, CSI players, and get ready for some serious sleuthing as we open Case File No. 266. The colder weather seems to drive us indoors, so this month, so we're celebrating Home Sweet Home with our Case Files this month. Don't feel like scrapping about home? No worries! Just use any part of the Case File to inspire you. The cool image from this month's first Case File was found on decorating website DoceObra. 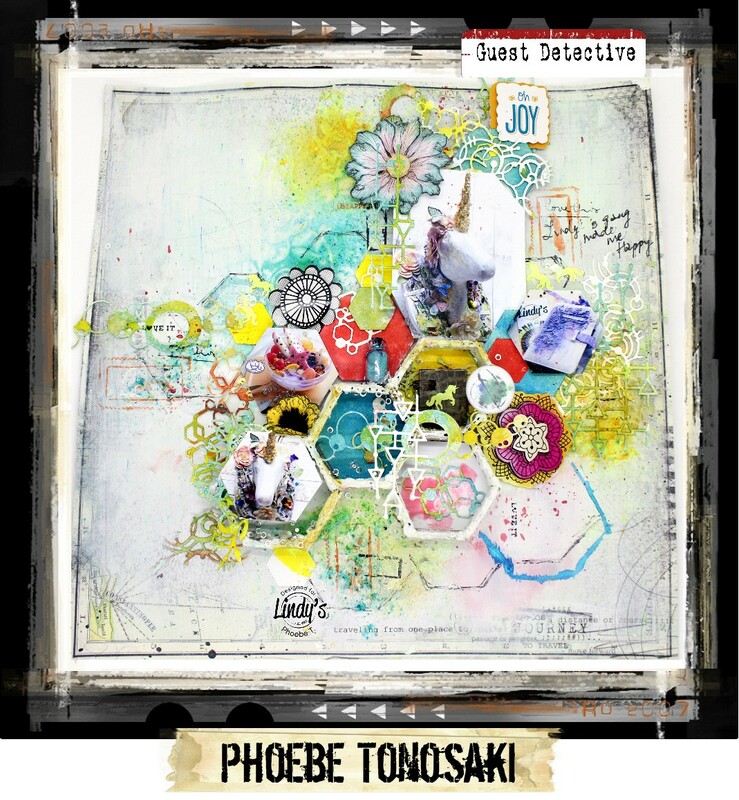 We're excited to have Phoebe Tonosaki, from Lindy's Gang, and GypsyStockley, from Mystical Scrapbooks, serving as Guest Detectives this month! How Gypsy solved the Case: I've solved the case with the Yellow, white and Turquoise in the colour scheme. As well as being inspired by the stacked boxes with their assortment of bits and bobs in them. 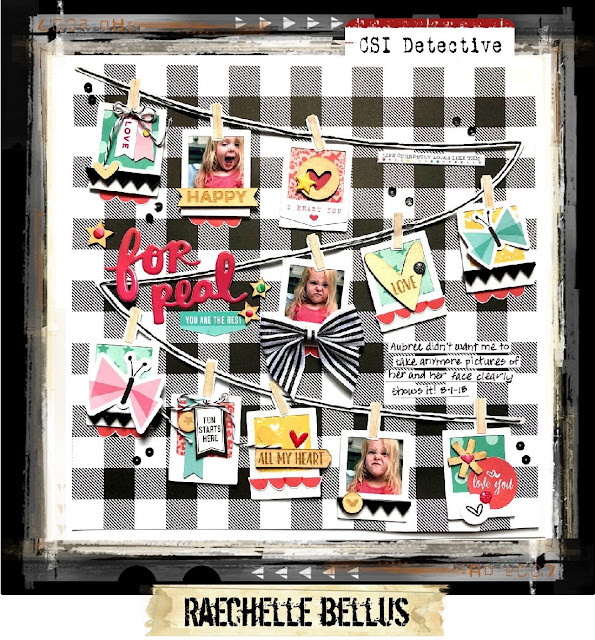 How Michelle solved the Case: Love how bright this inspiration board is!I used the colour palette, then used the stripey diamonds from one of the cushions, plus I added hearts, a cute pom pom frame, epoxy stickers, and flowers. I added a cap as a nod to my daughters boyfriend, who I have yet to see without a cap on! How Lisa solved the Case: I was inspired by the colors in this photo and the rectangles. I used a clock, flowers and dangled frames from brads for my evidence. I documented something I do every day, well in 1 form or another. How Lisa-Marie solved the Case: What an amazingly colourful challenge! As is pretty obvious by looking at my layout, I tried to emulate the shelving in the picture by placing my frames on my layout first. Additional inspiration I took from the image (aside from the glorious colours!) was the use of stars, hearts and birds; as well as some flowers and a phrase sticker to create my title. 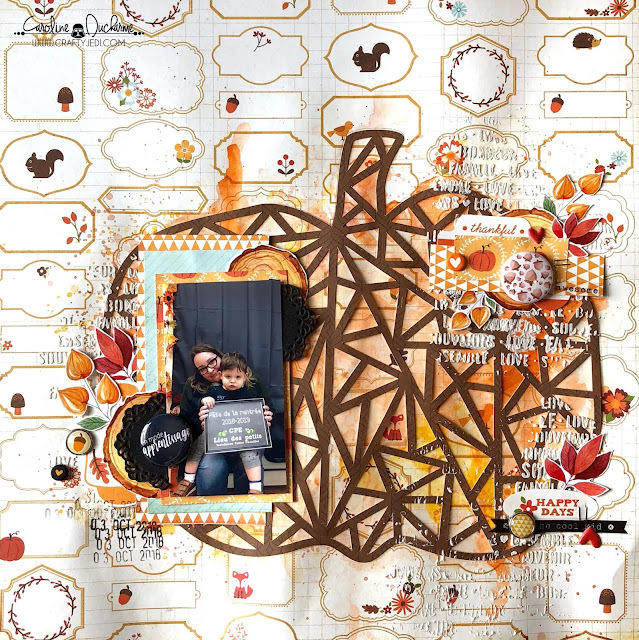 My journalling is along the lines of being grateful for something; as November is Adoption Awareness month, I decided to do a layout and write about how very thankful I am for adoption and our Birth Mom for selecting us to be Isabella's parents. How Vivian solved the Case: The evidence clue "Mimic the boxed shelving as a design element" inspired this page about my son and nephew this time. 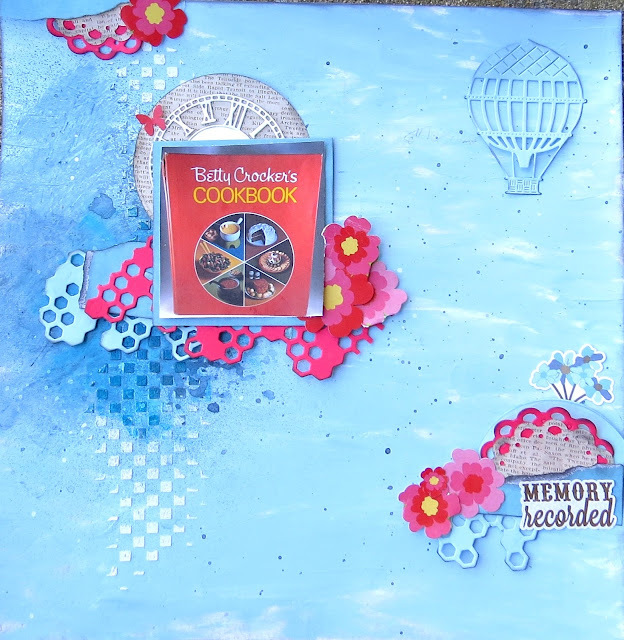 I had so much fun creating this fun, funky and very 3D page! How Sue solved the Case: I was mostly inspired by the colours and geometric patterns and have also added stars, hearts, puffy stickers and the surprise, a little pink bunny. 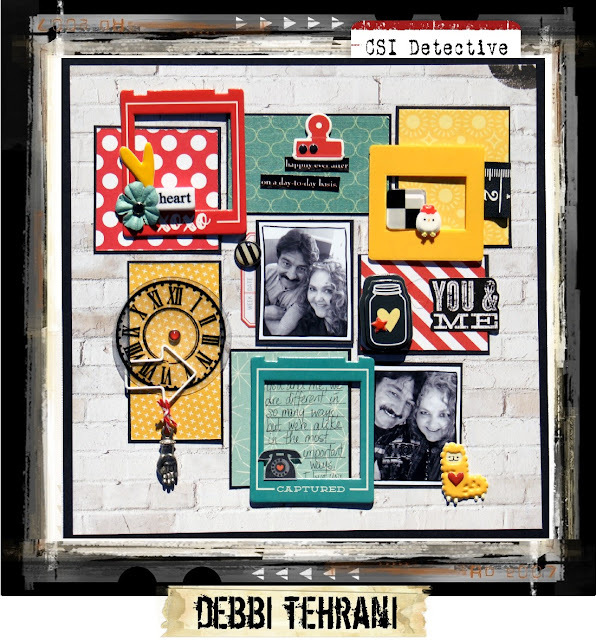 How Debbi solved the Case: I loved how the colorful boxes looked against that brick wall, so I wanted to imitate that look on my page. For my testimony, I journaled inside a frame. I used the colors in the Scheme, and I used all of the Evidence clues. It was fun searching through my stash for fun, unexpected things to include on my page. How Laura solved the Case: I was inspired by the stack of boxes and used this to arrange my photos. There are several evidence prompts here, but I journaled my grandson's first birthday party. How Natsuko solved the Case: I was inspired by the colors and boxes. I also used textured paper, stars, puffy stickers, phrase stickers from the evidence. 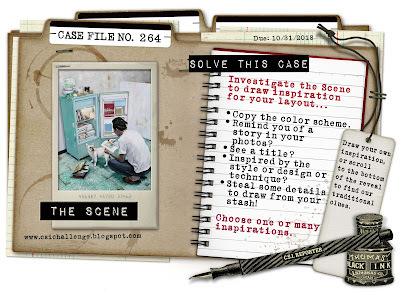 How Magali solved the Case: I was inspired by the colored boxes of the case file's picture. 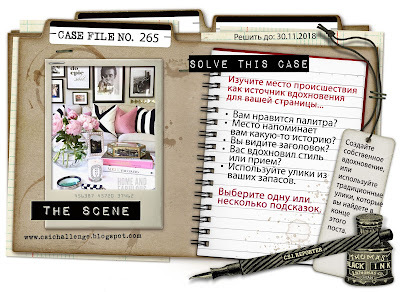 How Taru solved the Case: I made my page with a traditional way! 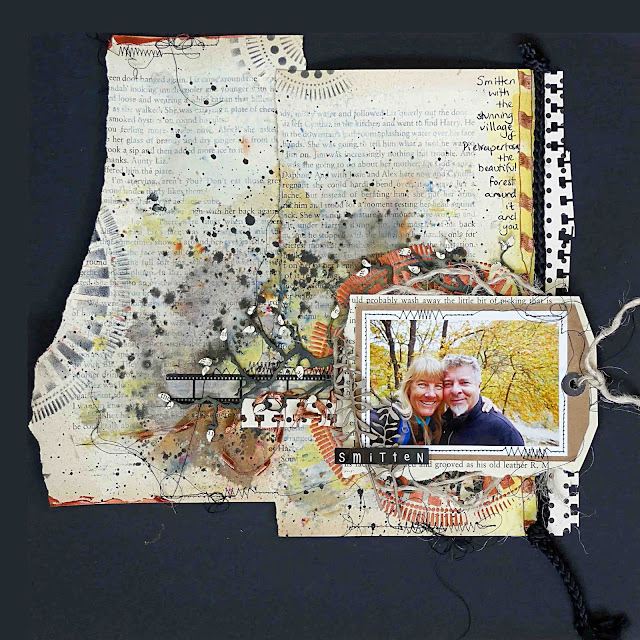 Document something you do every day with embossed paper, stars and fabric. How Marinella solved the Case: I was inspired by the color combo and by the scene. 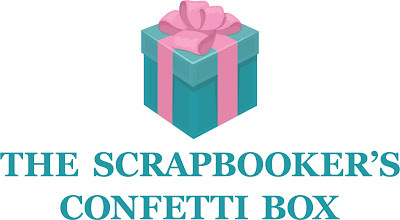 I'Ve used Geometric patterns, embossed and textured papers, stars, hearts, birds, frames, puffy stickers, phrase sticker. 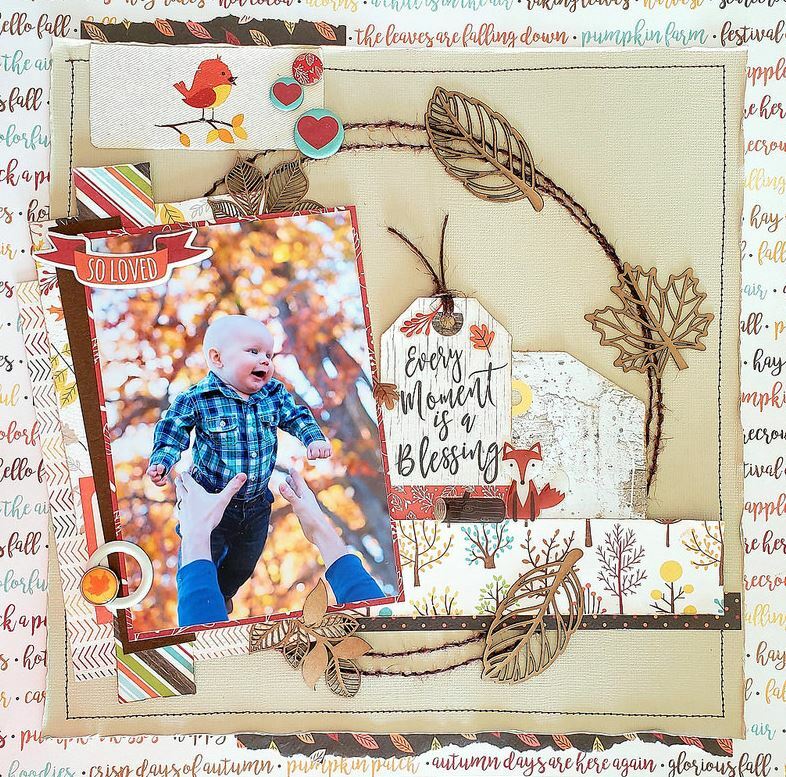 The title is Grateful to honor the thanksging month, and all the phrases and sentiments were used to say thank you to my family in the extraordinary and in the ordinary daylife. Add something (or many things) completely unexpected to your page. Topic: Document something you do every day. Prompt Idea: It’s Thanksgiving month. Thank something unexpected. Check this out for ideas of what I mean. 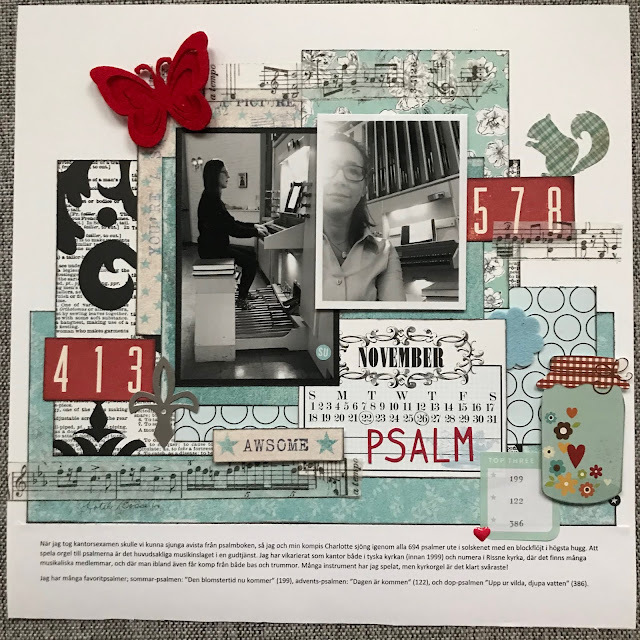 Presentation: Display your journaling in a frame or on a shelf-of-sorts with some other decorative elements. Writing Format: Write a list of random things about your subject. The deadline for completing this Case File is Friday, November 30, at 11:59 p.m. EST. Be sure to link your layout using the link tool in the sidebar, and mention the Evidence and Testimony clues you used. Also, please title your link with your name and country. A big thank you to everyone who participated in our challenges last month. 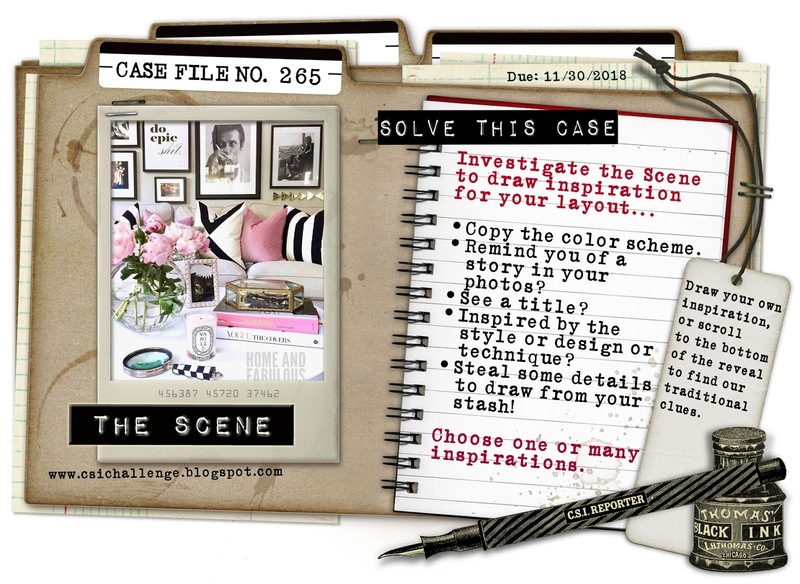 We have chosen our favorite layouts inspired by the October Case Files. 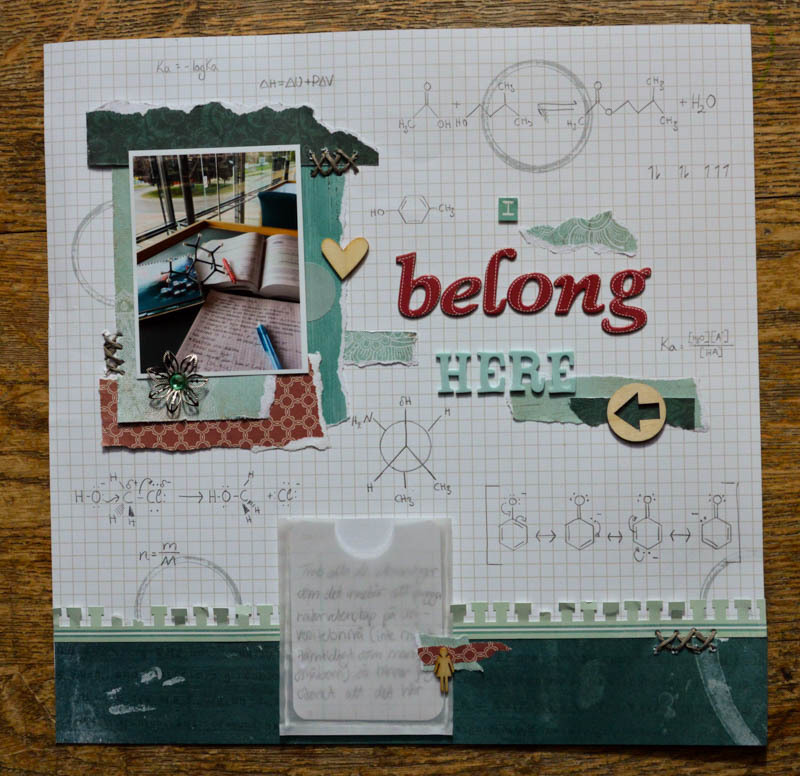 We just love the way Lizzy wrote her story right on that big, beautiful photo, and we also liked how she included that clear sticker near her journaling. The combination of all the different text styles gives Lizzy's page a very interesting look! 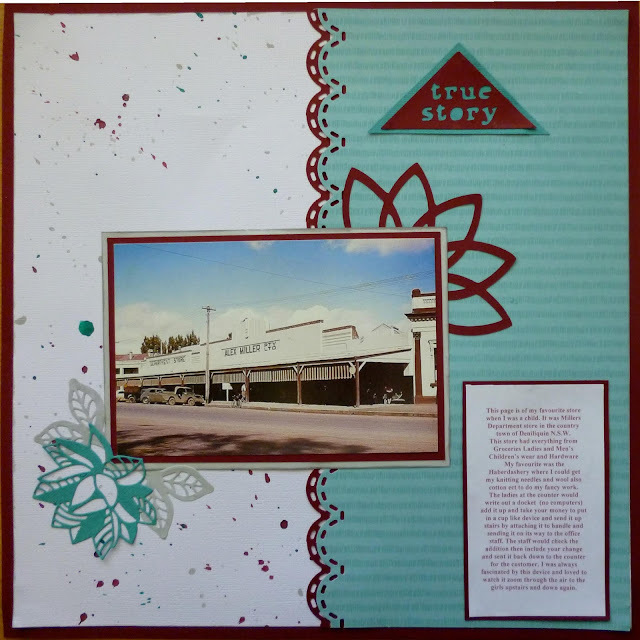 We loved reading Barb's detailed recollections of her favorite store from her childhood. The specificity with which she wrote her memories brought the past to life! Happy November! Autumn weather has finally fallen upon us, and we're excited to start a new month at CSI because a new month means new challenges and new sponsors. So, are you ready for the new challenge? 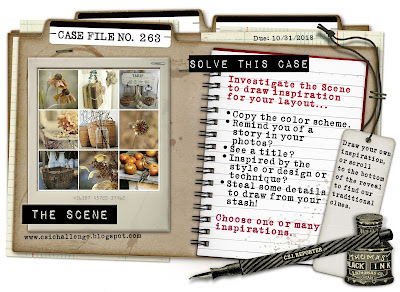 Grab you forensics kits, CSI players, and get ready for some serious sleuthing as we open Case File No. 265. 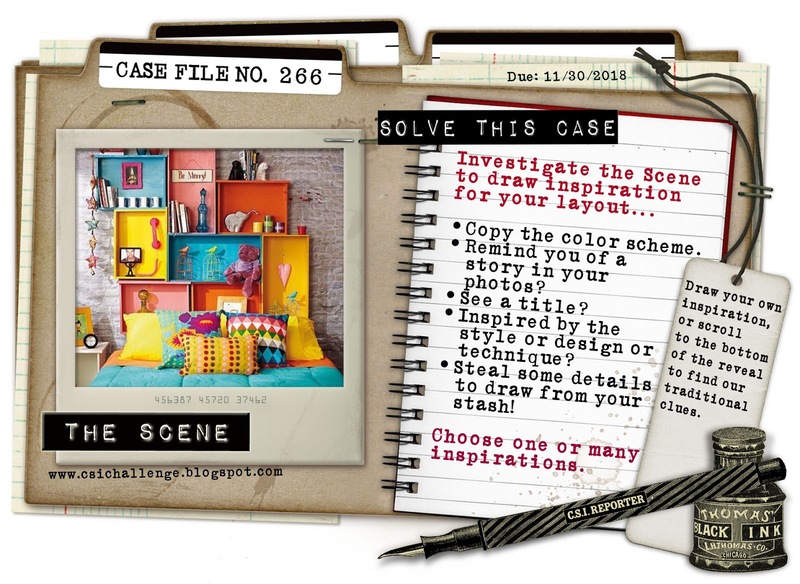 The colder weather seems to drive us indoors, so this month, we're celebrating Home Sweet Home with our Case Files. Don't feel like scrapping about home? No worries! Just use any part of the Case File to inspire you. The gorgeous image from this month's first Case File was found on the Home Goods blog. 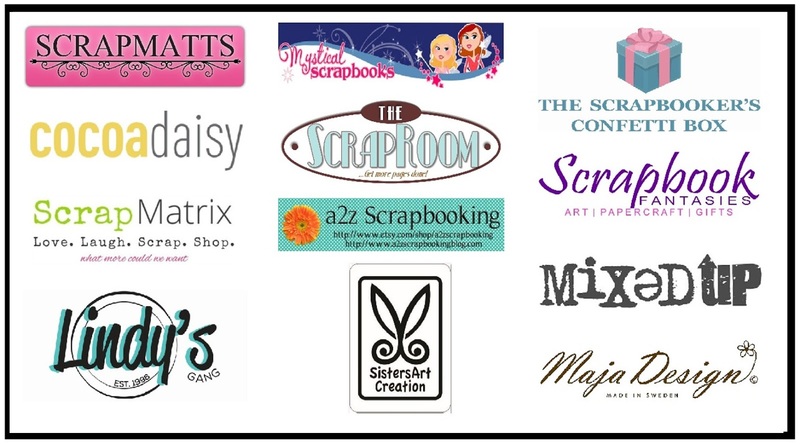 We're excited to have members of the design teams from Mystical Scrapbooks and SistersArt Creation serving as Guest Detectives this month! How Gypsy solved the Case: I've solved the case with the colour scheme, a frame, triangles and clear bling. 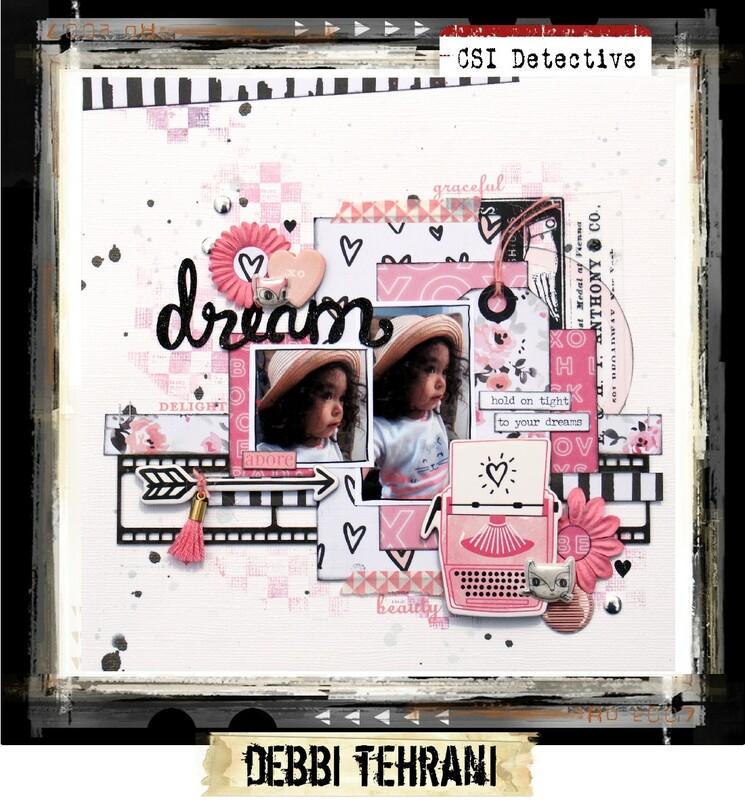 How Debbi solved the Case: I just loved the colors and all the interesting elements in The Scene, so I used traditional Evidence clues as well as the palette from The Scheme. I always love digging through my stash to see if I can use all the Evidence clues.. I've got stripes, a checker pattern in the stamped background, a frame in the form of a filmstrip, flowers, cats, text print, a label, something transparent, metal, puffy stickers, triangles (on the washi tape), something shiny--I found shiny puffy stickers, both gold and silver, a glittery title, and rub-ons. So, I was able to use all of the Evidence clues except for black-and-white photos. I found a 6-word sticker phrase for my Testimony that serves as a 6-word memoir. How Lisa solved the Case: I was inspired by the colors and frames. For evidence, I used a checker pattern, frames, flowers, a label,something transparent, arrows, gold & silver accents and rub-ons. For my testimony, I used the word "epic." 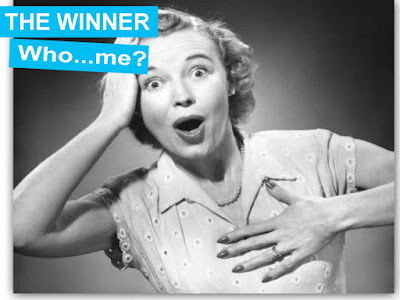 How Lisa-Marie solved the Case: Oh what a GORGEOUS challenge!! I loved the black highlights and lines in the image - so I wanted to create that in my layout as well. One of the framed pictures in the image has a mixed font and I mimicked this with the title of my layout. I also used some flowers on my piece, as well as some intricte frame ephemera - much like the intricate framework of the glass box in the image. I used two pieces of acetate in my layering as well to emulate the clearness of the vase and I added a few elements that had splashes of silver on them. I used paper that had stripes and I used paper that had some triangle print on too. My journalling is a 6-word memoir. How Laura solved the Case: I used stripes, cat, gold and silver, metal, arrows, and triangles. I journaled about my cat making my house a home. 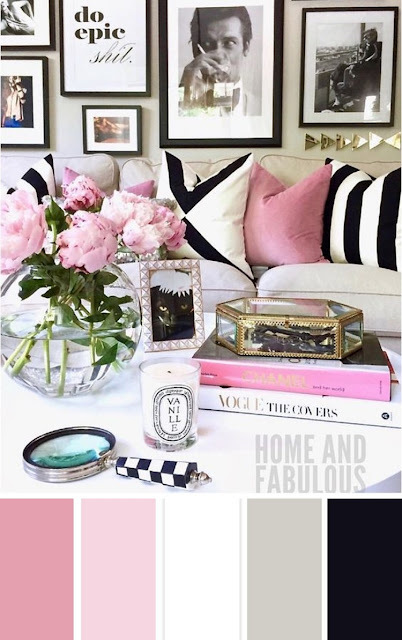 How Jess solved the Case: I absolutely loved the contrast between the pinks, white & black on this challenge! I have documented something about our home as well as using stripes, flowers, text print, label, something transparent, black & white photos, something shiny and rub-ons from the evidence list. How Nina solved the Case: I used the inspiration words to make this layout. It was both epic and fabulous to see the first concert ever in O2 in London with the Korean boyband BTS. 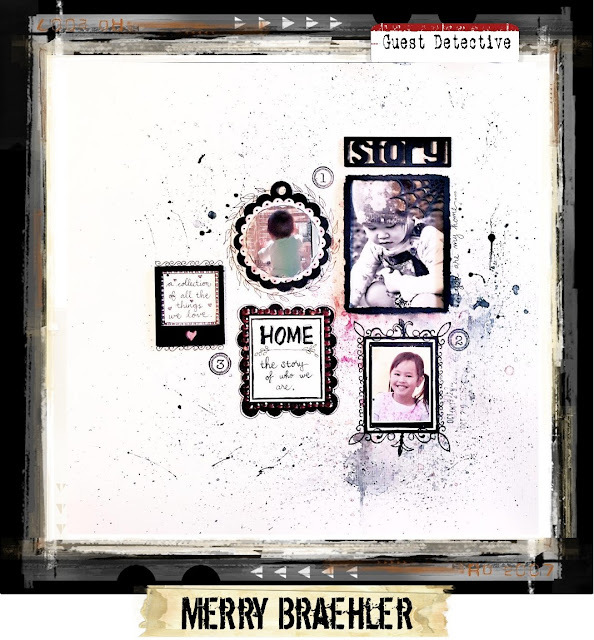 For evidence I used flowers, black and white photos, triangles, silver accents and rub-ons. How Vivian solved the Case: As soon as I saw this colour combo, it made me think of my oldest daughters best friend who loves the colour pink. This year they are separated because of distance for school, so I made this page for my daughter to document some sweet words written to her by her friend. To create this page I used 11 evidence clues! I used a slightly different shade of the darkest pink, and added in some green, simply because it gave me a chance to use the ephemera from Vicki Boutin's new collection which I am totally in love with. Also, I really loved being able to use tons of gold on this layout, since it's still my favorite metallic colour! How Natsuko solved the Case: I used Stripes, Frames, Flowers and Something Shiny (little pearly stickers) from the evidence. 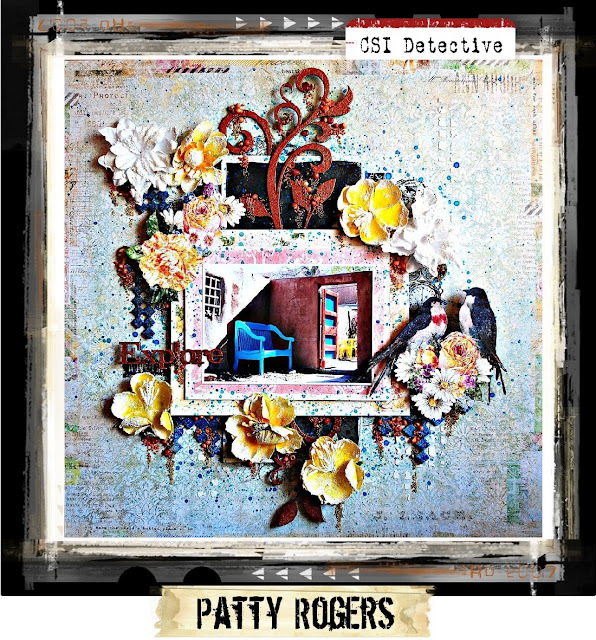 How Edith solved the Case: I was inspired by stripes, black and white photo, frame, flowers, shiny, gold and glitter. How Anastasia solved the Case: Used most of the clues: Stripes, Frames, Flower, animal, text print, Something transparent, Arrows, Metal, Triangles, Something shiny, both gold and silver accents, Glitter, Rub-onsThe tag behind the photo is for journaling (i chose this prompt "Document something about home" - this LO is about a windowsill. How Annie solved the Case: I enjoyed following the clues again to solve this case, just slightly tweaking the colour scheme by adding in some aqua from the magnifying glass in the inspiration image. How Libeeti solved the Case: This time I went 'free style'. 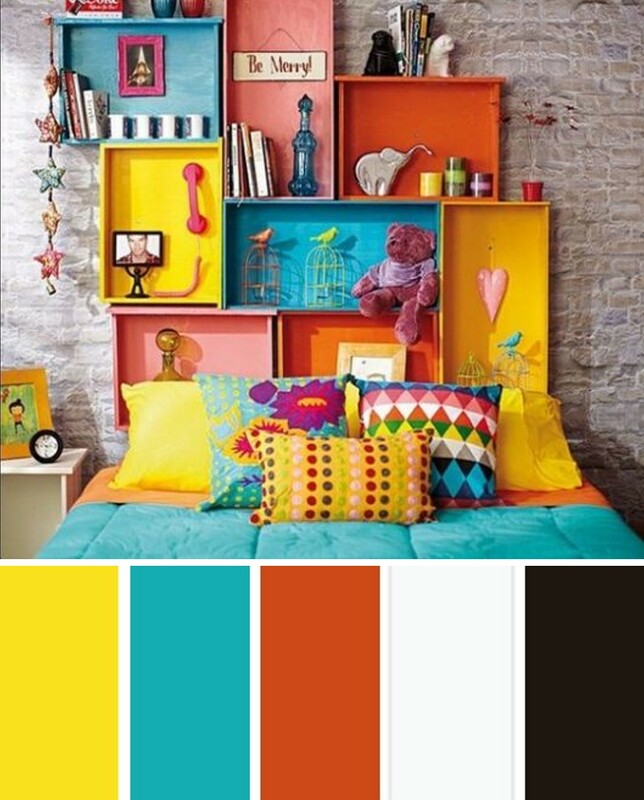 I was inspired by the colors of the inspiration photo and the chic look of that room. I also used some of the clues: checker pattern, frames, text print (hardly can be seen, on the pale gray pp under the photo), arrows, metal, triangles, something shiny, both gold and silver accents. The photo is of a beautiful street lamp on one of the bridges over the Seine in Paris. I'm a great fan of street lamps, and that is what my journaling about. Prompt Idea: Choose one of these 100 random questions.